Marketing Local Business Online - What is Inbound Marketing? In the last decade, there have been some pretty radical changes in how consumers and business owners buy and sell products. One of the more pronounced changes involves how receptive consumers are to advertising and in what format they want to be marketed to. Where traditional marketing, what the marketing industry also calls outbound marketing, sought to push advertising and information onto the consumer, modern marketing, inbound marketing, seeks to draw them in. Marketers and business owners everywhere have increasingly recognized that the old models of interruptive advertising are no longer effective. Television commercials can be skipped via streaming services and fast-forwarding controls. Yet, all is not lost. Thanks to the Internet, buyers today feel more empowered than ever before. With just a smart phone in their pocket consumers can access detailed specifications, reviews, and pricing options for goods and services anywhere and at any time with just a few fingertip taps. They can quickly pull up their social media accounts to learn what friends recommend, share new findings, and compare their experiences with others. As a business owner, you already know you need to be in the space. But did you know that inbound marketing is the most reliable, most effective way to advertise online (and off)? When marketing local businesses we effectively utilize these strategies. 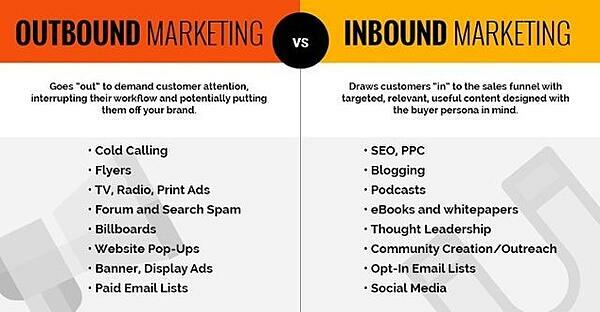 Inbound marketing is a strategy of using the same materials, online platforms, and experiences consumers enjoy to connect with them and market a brand. It seeks to entertain and engage via useful content distributed through organic means like link shares. For example, a thoughtful and entertaining how-to blog post speaks to potential buyers in a way flashing banner ads never can. Social media campaigns via Twitter, Facebook, Pinterest, etc. Remember, the key component that makes inbound marketing effective and desirable is that it centers upon the use of content users want to consume. 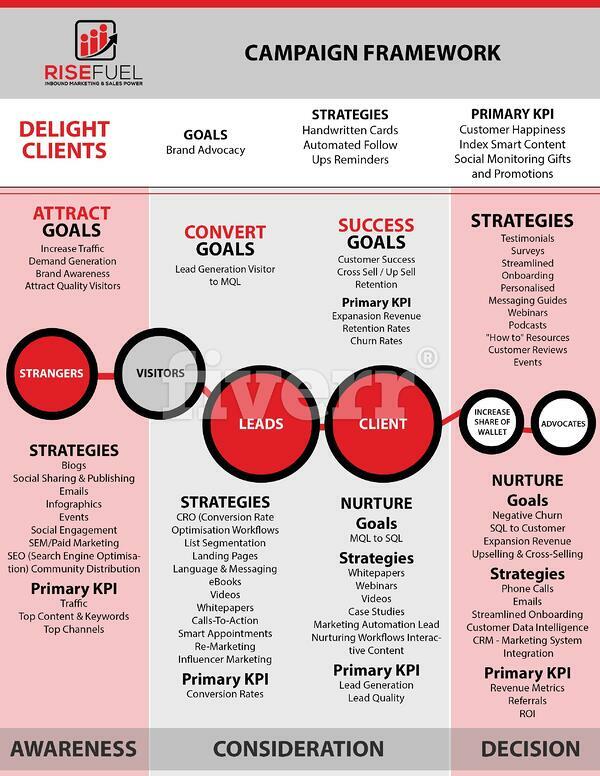 Therefore, the first major theme-slash-goal in any inbound marketing strategy is to create content targeting the basic questions, needs, and wants of prospective customers. Then, that content must be shared in places and platforms where ideal buyers are most apt to come across it. Such distribution should occur regularly and as often as feasible. A person who learns of your business for the first time will have a different perspective and experience of it then the loyal consumer coming back for the fifth time. Life-cycle marketing is about focusing on the entirety of a consumer's experience, from first impressions to post-sale follow-ups. 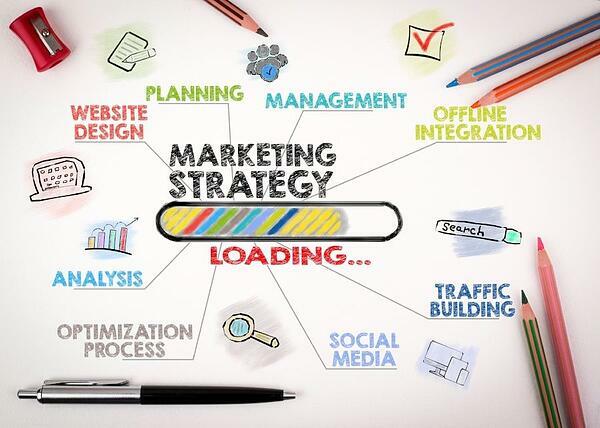 Here, specific marketing actions are tools are used depending upon where consumers are in the life-cycle. After all, you wouldn't want to send an email meant for new prospects to your most loyal consumers, would you? 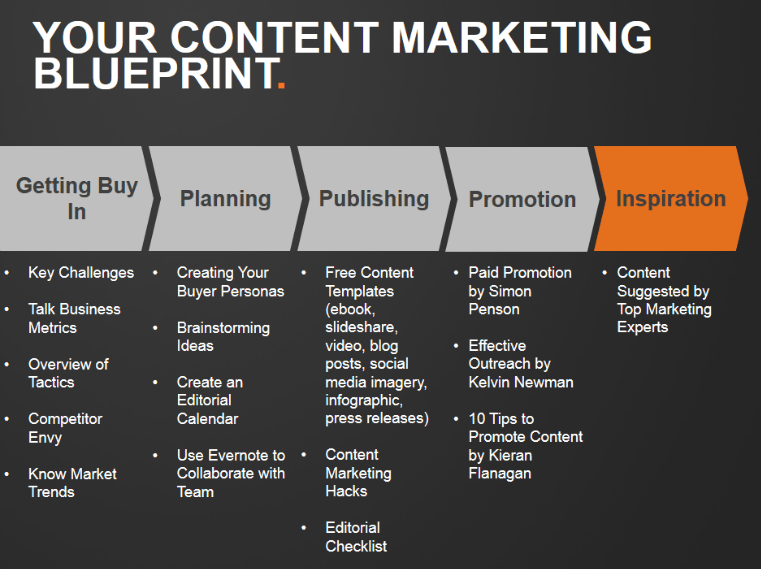 This is an aspect inbound marketing professionals will use both in lifecycle marketing and in general content creation. That's because the most engaging and entertaining content is the kind that reaches us personally. The more you learn about your leads and the specifics of your consumers and their buyer's journey, the better marketing messages can be tailored to meet their specific needs, wants, and shopping desires. Inbound marketing is not about sitting on just one marketing channel. This is a strategy that works best when it incorporates multiple channels as it approaches a variety of consumers where they are and where they choose to interact with businesses. For example, as a local business, you want to be one of the first companies that come up on a Google map when a consumer does a 'near me' search on their phone. So you'll need to ensure your website has the right SEO text and local reviews to achieve top spots. You'll also want to run geo-targeted Facebook links to attract those users who share most on that social media platform. Finally, the last component of a strong and effective inbound marketing strategy is integration. You or your inbound marketing team needs to have all content creation, publishing, and analytic tools working together to ensure that the best content is published at the right time and in the right context for maximum return. A great inbound marketing campaign begins with a solid buyer's persona. Know the problems, needs, questions, concerns, and desires of your buyers in order to create sound content that speaks directly to them. Know the most likely social media networks utilized by your target market. Focus on making one or two big platforms the cornerstone of your campaign. Send the best of your content, such as compelling video or testimonials, via email so that once you've converted visitors into leads, you can hook them with a continued stream of relevant content. Conversion begins with attraction. Once you have visitors on your website, in your store, or browsing your social media account, you want to focus on converting them into leads by capturing their contact information so you can send them that aforementioned content. One of the best ways to do so is through an exchange. This can either be a free token product or something similar valuable but less concrete, such as access to a webinar, how-to-video, or redeemable in-store coupon. Make sure to use a call to action to direct consumers forward in each stage of the buyer's journey. Next, leads need to be converted into sales. While we're certain your product or service stands for itself, inbound marketing is geared towards helping you close those leads who are teetering on the edge of a purchase. Finally, sales don't mean that you are done with the customer. Even if you sell a product or service anticipated only to be bought once or twice, previous customers can become your best advocates for future sales. Great inbound marketing strategies include actively engaging and providing these consumers with fresh, relevant content. Offer surveys to help you better tailor future campaigns and better understand your audience. Again, the better you understand your target audience, the better you can craft content that appeals to them and the more your business will excel. Are you interested in taking your marketing efforts into the 21st century with inbound marketing? Contact us today to learn more about how a cohesive inbound marketing strategy might be implemented for your business and how the above actions will help you capture more leads and close sales. Growing a company isn't always easy; let us help by implementing the tools needed to scale your business up. Whether marketing a local business online or marketing nationally we will help you build a lead generation machine that will grow in power and results as you invest good content and personalization towards your target customers.